Luxury Bath of Tampa Bay is a licensed General Contractor and plumbing company, meaning we can perform virtually all work without using sub-contractors. 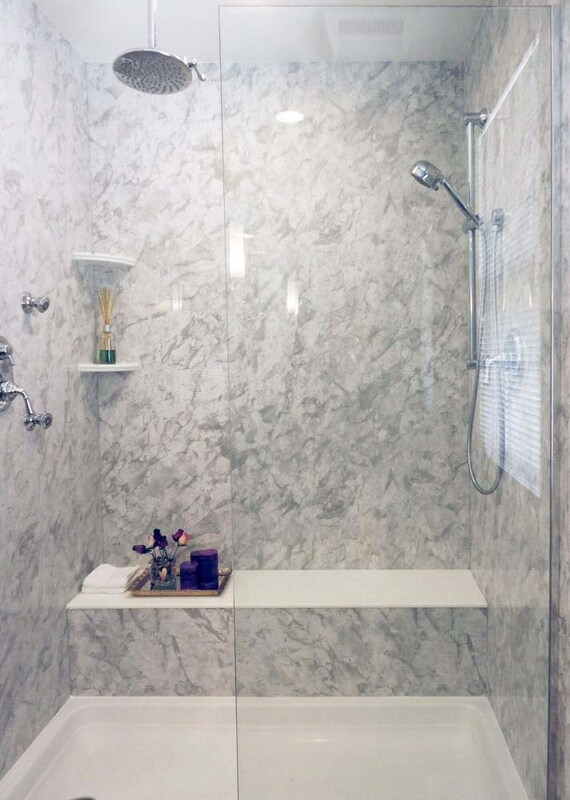 Whether it's because your shower is simply outdated or because you're battling mold and cracks, when it comes to a shower replacement in Tampa, you'll want the help of experienced professionals who can fulfill your bathroom remodeling needs. At Luxury Bath of Tampa Bay, our shower replacements are all grout-free and made from non-porous, Microban-treated acrylic. This ensures your new shower makes cleaning effortless and will look stylish and pristine for years. Have peace of mind that your shower replacement is not only custom built to fit your space and style, but comes with a lifetime warranty that puts our competitors to shame. We're so confident in our shower replacement services that we guarantee the acrylic will never chip, dent, crack, peel or discolor. Our shower replacement services can be completed as an individual service or as part of a comprehensive bathroom remodeling project. We can seamlessly integrate your already present features, such as windows, into our design and also carry the new and improved look to the rest of the bathroom with our exclusive acrylic wainscoting. Whether you're looking for a sleek, modern shower enclosure or a rustic, classic shower surround, you can count on us to have your back. Contact the shower replacement experts at Luxury Bath of Tampa Bay to get started on your remodeling project. 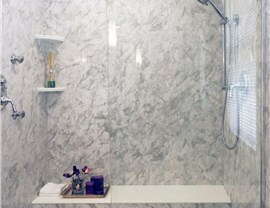 We are offering free shower doors or $500 in your pocket when you spend $2500 or more on your next bathroom remodel! Call us to speak with a design consultant to learn more about our services. You can also fill out our online form to schedule your free consultation and get your in-home estimate today!